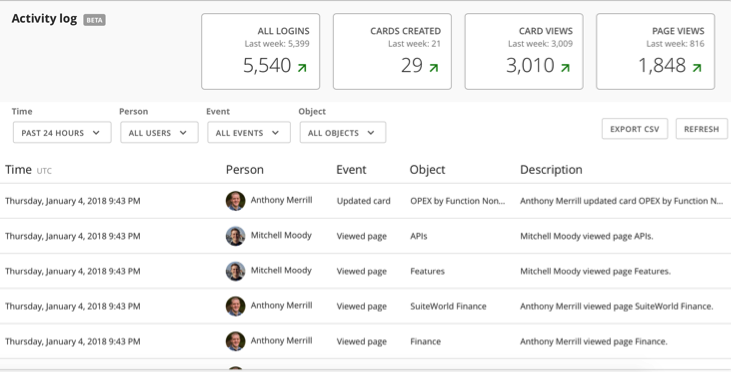 The Activity Log API provides programmatic access to users’ actions in Domo. For example, programs can discover the most active users or show trending cards based on page views. The information provided through this API is same data as provided in the Activity Log in the Admin Settings page of Domo. Note that the API currently supports lookups for activity by specified users.